One Piece chapter 850 was released a few days ago, and fans are now eagerly waiting for the next chapter to arrive. Chapter 851 will be without any doubt, an interesting one. Based on what happened in the previous chapter, a war between the Vinsmoke Family and the Big Mom pirates will soon take place. Here is what happened in the previous chapter of One Piece, along with what is expected to happen in the next one. As we all know, in One Piece chapter 850, Sanji was seen really excited for his wedding with Lady Pudding. He was so excited that he cooked something to surprise his fiance. Later on, he cooked a Bento and decided to give it to her while it was still hot. However, just when Sanji was about to enter her room, Pudding’s talking door didn’t allow him to step into the room. Instead of arguing with a talking door, Sanji decided to enter the room through some other way. He climbed up the balcony and managed to enter through the window. However, while sneaking through it, Sanji saw Pudding speaking with his badly injured sister, Reiju. Sanji suddenly got curious to see the two together, so he decided to eavesdrop on them to hear what they are talking about. Sanji’s expressions then changed and he got shocked after hearing what Pudding said. Sanji actually heard Pudding telling Reiju that the Vinsmokes are just idiots for believing all of this. She told Reiju that she will slaughter Sanji right after marrying him. 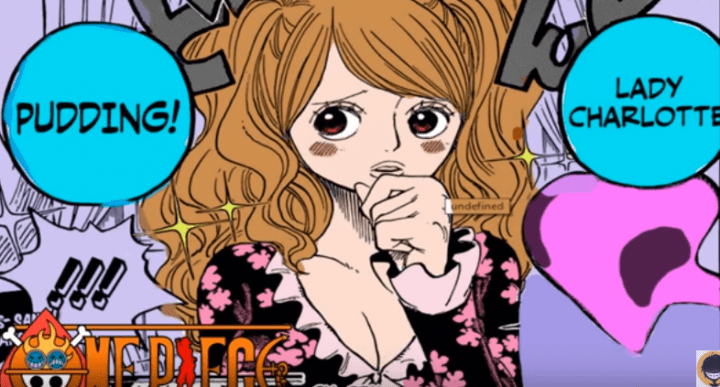 She further revealed that Big Mom plans to slaughter the entire Vinsmoke family right after the wedding so she can get the clone army under her control. Sanji To Trick Big Mom? Now, one thing is confirmed for sure that the wedding ceremony won’t take place after all that happened. However, there is a chance that Sanji will go on with the wedding, but he will have everything planned prior to the wedding. 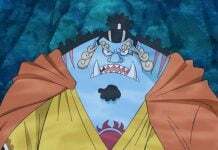 Instead of marrying Pudding, he will surprise Big Mom by starting the war first. 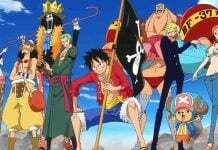 The remaining Vinsmoke family will most probably join him too. On the other hand, Luffy and Nami are currently locked up in the Prison Library. Rumor is that Chopper and Carrot are going to rescue them soon. As they are in the mirror world, both of them are currently capable of going back to the real world by using any mirror. 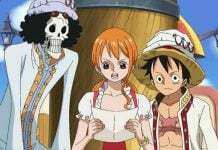 So the two will end up at the place where Luffy and Nami are locked up and will then free them from their chains. 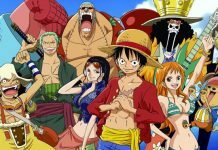 Luffy will then meet up with Sanji and the two will then form an alliance with The Vinsmoke Family to take Big Mom down. So fans definitely have something to look forward to in the coming chapter. One Piece chapter 851 will be released sometimes this week. Let us know if you’re excited for it or not in the comments below.